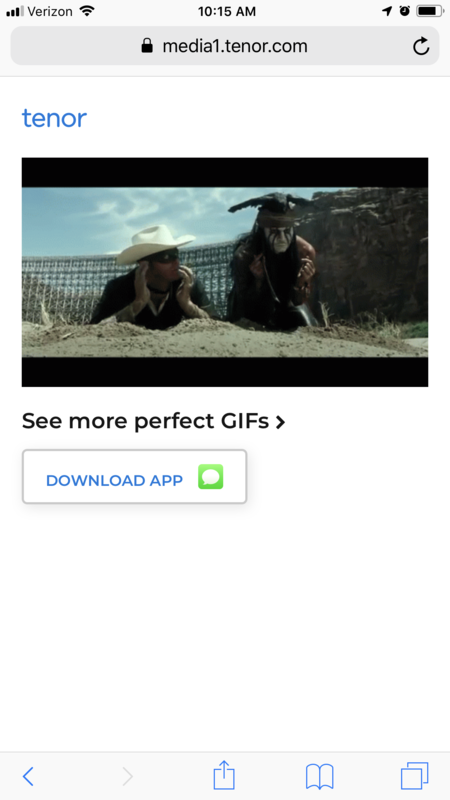 Because I can't do gifs on my phone anymore? To get to this on mobile, hold your finger on the image until the option to save or copy comes up. Select copy, then copy link in a new page to make sure it is the plain version. @Sunnie1978 Thanks for the help, but I don't even get that option. SO EASY ON MY LAPTOP WHICH I'M NEVER ON!! Can't get it to generate the media1.tenor.com blah blah blah link. I'm on Android Pie OS. The Tenor app doesn't get me the URL with media1.tenor.com either. Looks like the itemid at the end of the link is not needed. I swapped it for The Simpsons id in your post and still got the same gif.